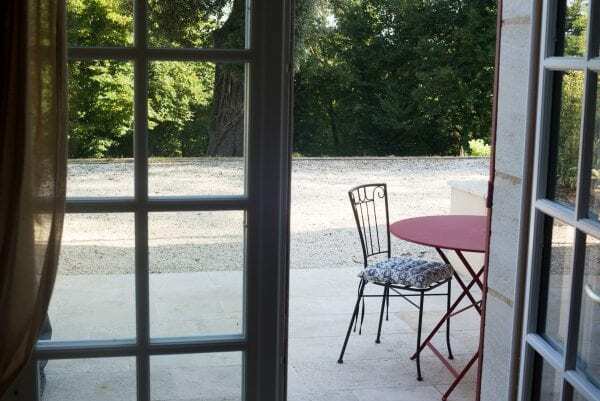 Set on a hill and enjoying magnificent views over the town and river. 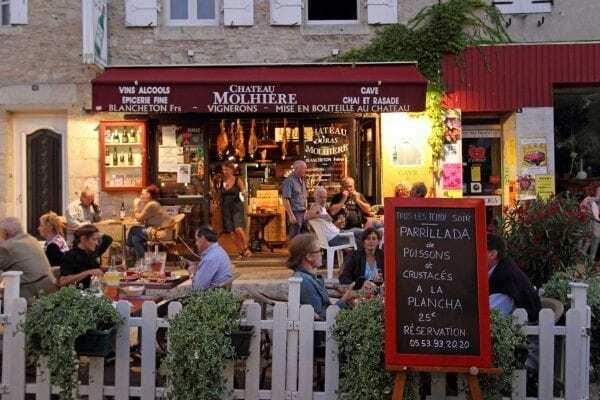 A five minute walk down a private footpath leads you into the historic town of Couze-et-Saint-Front, where you can enjoy the lifestyle of a typical French town which offers two excellent restaurants, two bars, two small grocery shops and a pharmacy amongst other facilities. 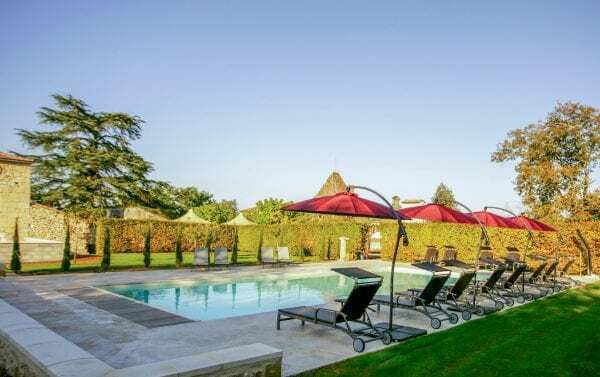 Whist the gite shares the pool and other communal facilities with a handful of other guests from 4 other gites and 5 chambre d’hote rooms, each space has been thoughtfully designed to afford privacy as well. 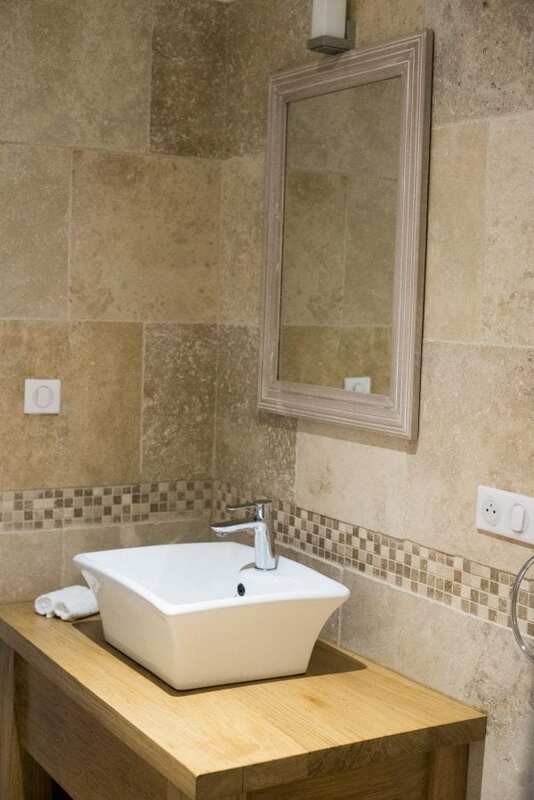 Bedrooms and bathrooms Travertine tiled bathroom. 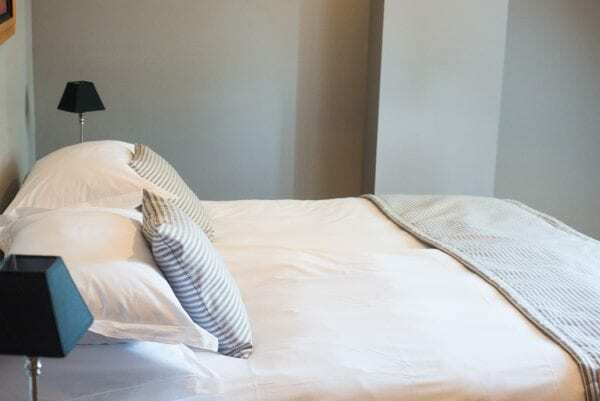 Furnished with Relyon beds and luxury 300 thread-count Egyptian cotton linen and towels, all linen towels and pools towels are included. Bedroom 1 (Upper Floor) Super king size bed (180cm x 200cm) can be slit into 2 single beds. 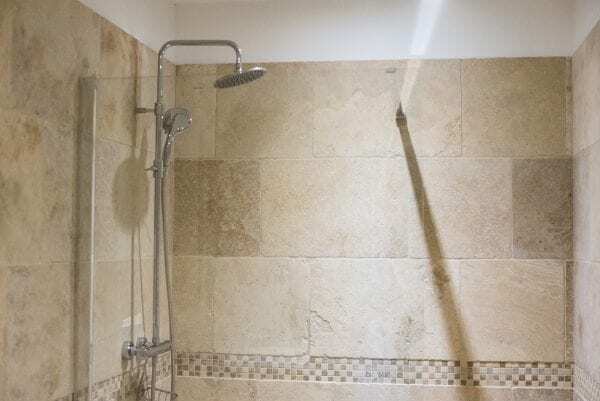 Travertine tiled en-suite bathroom with a large walk in shower, toilet and basin. 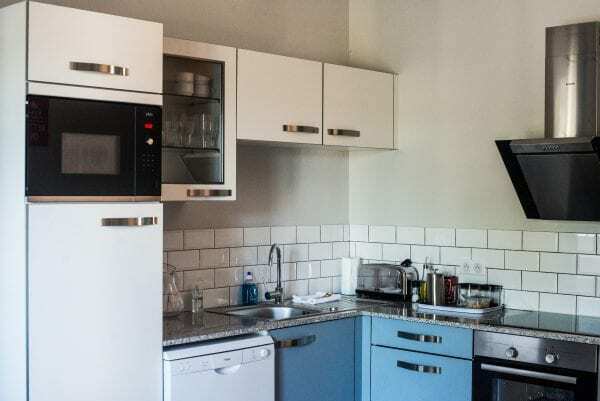 Open plan Living space and Kitchen A modern, well equipped kitchen with oven, built-in microwave, ceramic hob, extractor fan, dishwasher, kettle and coffee machine. A beautiful open plan kitchen/lounge with a lovely, French doors open onto the private courtyard. Comfortable furnishings complete the lounge area, flatscreen TV with both English & French channels & DVD player. Wood burning stove (free wood provided). Free WiFi. There is a separate wc on the ground floor. Utility room Washing machine, tumble dryer, iron and ironing board, separate downstairs wc. 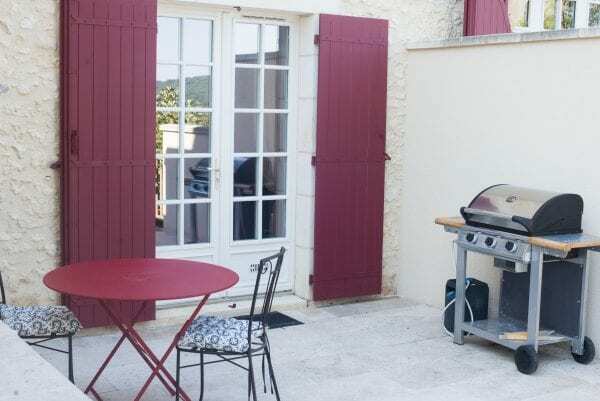 Outside French doors open out into your private small garden to the rear with outdoor furniture and gas BBQ. Heated swimming pool The 15m x 6m heated pool is shared with the other guests and has a large paved terrace with plenty of sun loungers and parasols for shade. The pool has a constant depth of 1.4m. 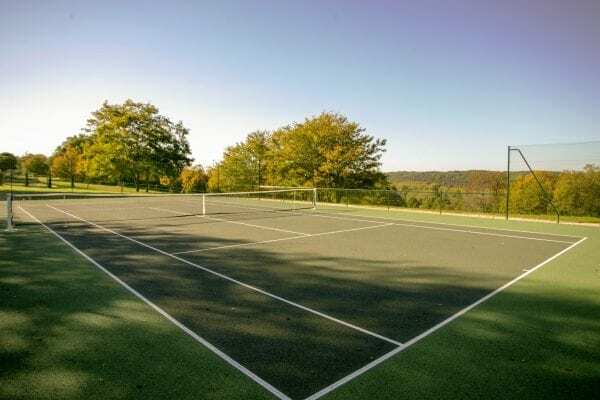 Additional shared facilities A tennis court and boules court are at your disposal during your stay. Tennis racquets and balls are provided free of charge. 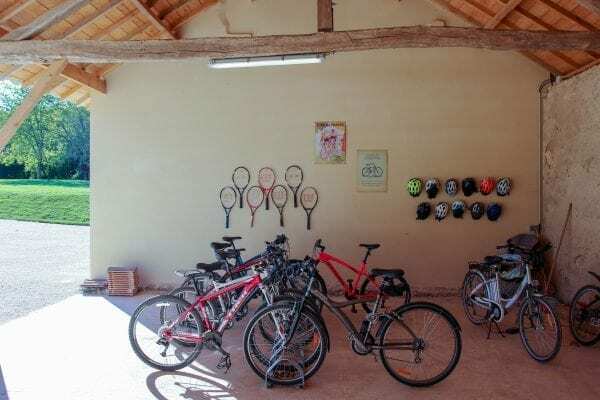 Complimentary bicycles are also provided. Lots of parking in the private carpark. June through September 5 nights minimum. October through May 3 nights minimum. Please enquire for prices. Early arrivals or late departures may be available on request. 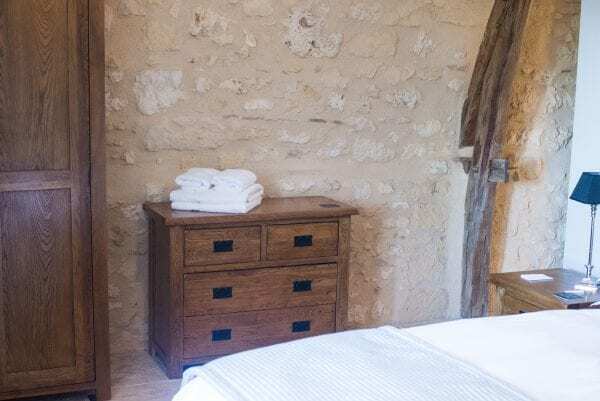 Alternatively guests may use the luggage storage and will have use of the facilities until the accommodation is ready. A refundable security bond of 400€ is payable on arrival by cheque or credit card. Please view information about our credit card and debit card charges. Bed linen, bath towels and pool towels. Mid-stay clean for bookings of 2 weeks or more. Tourist tax (Taxe de Sejour). If required a mid-week clean can be provided for a charge of 65€, payable locally. Availability is live and always up to date. 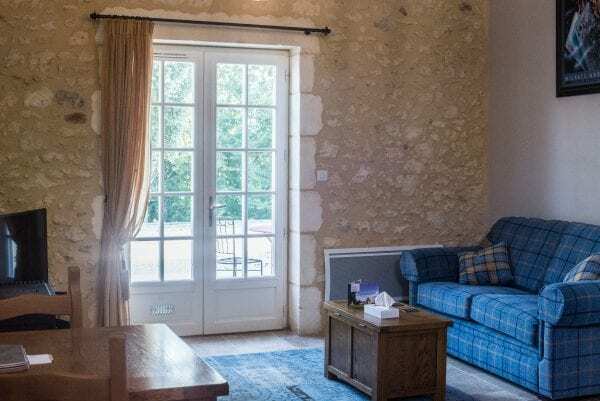 Situated just a 5 minute stroll from the charming village of Couze located on the Dordogne river, between Bergerac and Sarlat. Couze offers two excellent restaurants, two bars, two small grocery shops, a pharmacy and local walks, amongst other facilities. 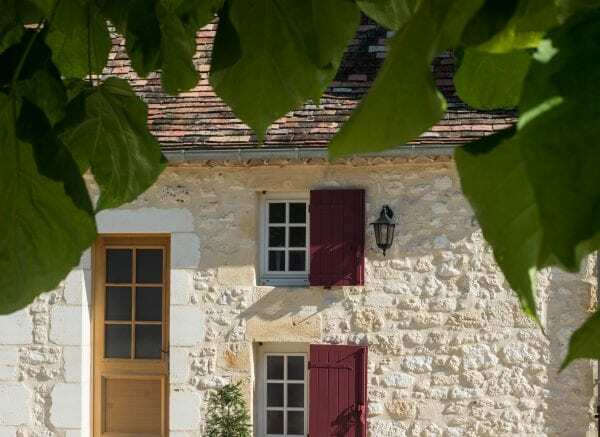 The town is also home to Moulin de la Rouzique Econo-Musée du Papier, an interactive museum which recounts Couze’s place at the heart of paper making in France. 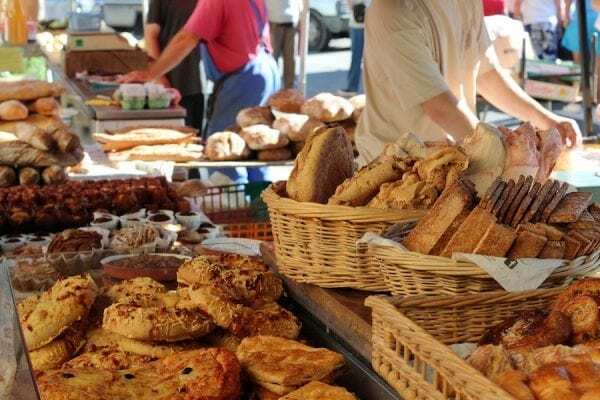 Join the residents of Couze for a lively evening of local food, wine, and music during one of the popular bi-weekly summer night markets. 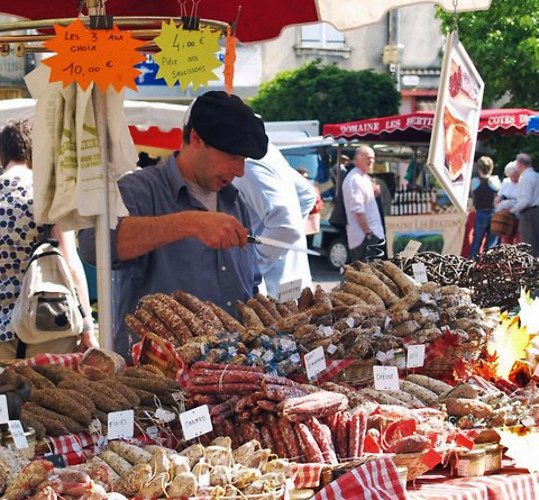 Most of the nearby towns and villages hold weekly markets which are a French way of life that must be experienced. BERGERAC Located just 14 miles away, formed in the XI century Bergerac sits on the banks of the Dordorgne river and offers many attractions for visitors to enjoy including boat trips on the river (Gabarres de Bergerac), several traditional French markets each week and the Recollets Cloisters to name a few. 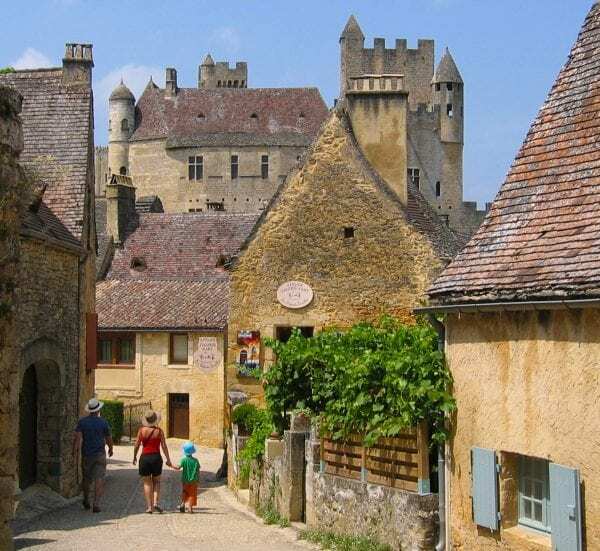 BEYNAC Just 27 miles away, Beynac is a medieval village set on the riverbank of the Dordogne. With a stunning 12th century castle it is classified as one of the most picturesque villages in France and is well worth a visit. SARLAT 35 miles away, Sarlat -le -Caneda is one of the most popular towns in the Dordogne, the old town dates back to medieval and renaissance times. Small narrow streets lead off the pedestrianised Rue de la Republique and is a pleasure to explore. A must see whilst in the region. 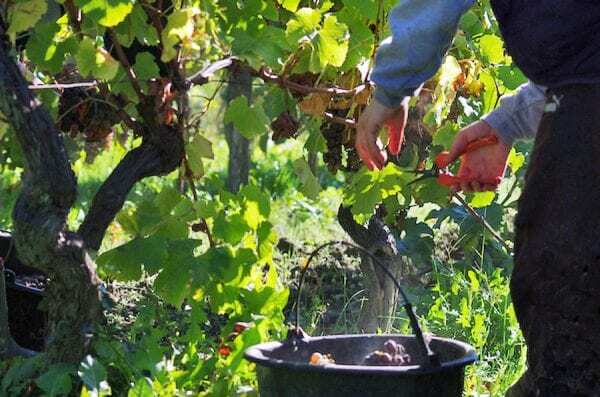 WINE & GASTRONOMY The Bordeaux wine region has 21 appellations. 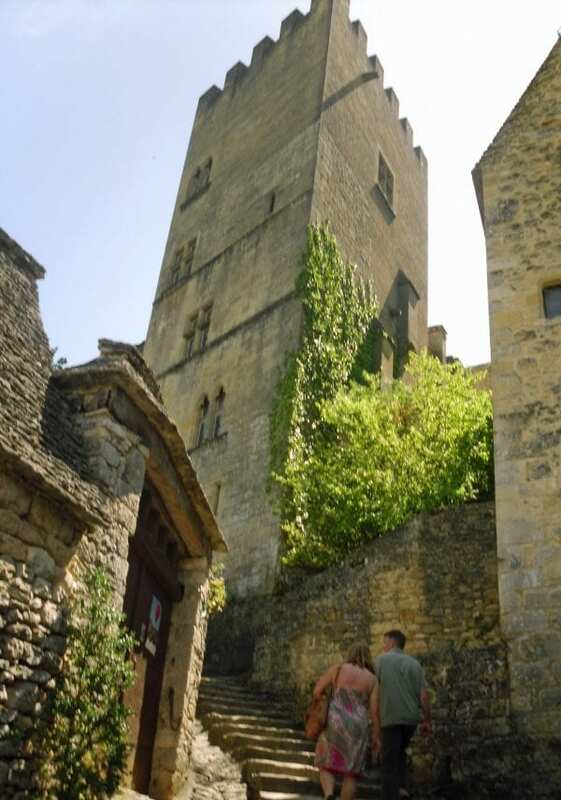 Visit some of the many local Caves and Chateau who offer free tastings and tours while you choose a bottle or two. 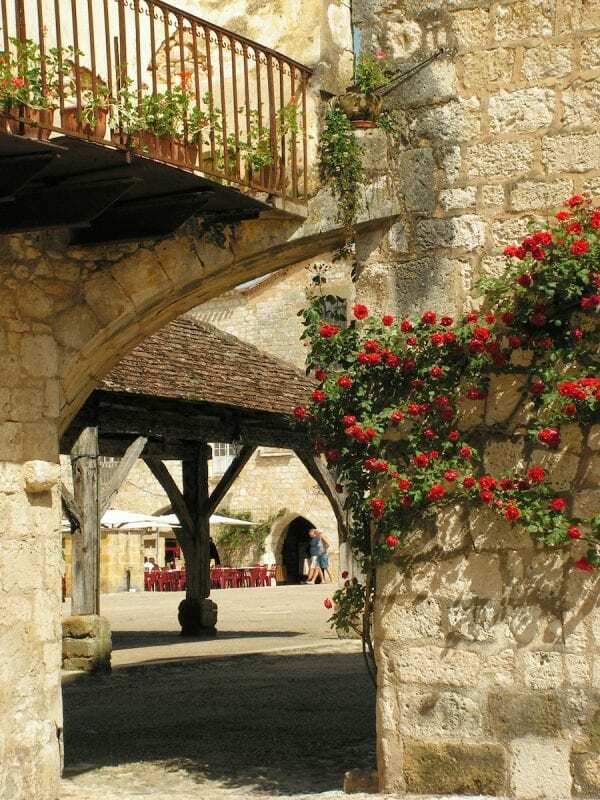 Not to be missed is the world famous St Emilion, 1 hr 15 mins drive away. A designated world heritage site and is truly stunning. Explore characteristic narrow lanes lined with wine merchants, cafes, restaurants and interesting independent shops. A guided tour of the monolithic church is highly recommended. BORDEAUX This designated world heritage site is a must for all visitors. The cosmopolitan city offers a diverse range of attractions. The golden triangle has a fabulous range of shops for those shopaholics. A rich variety of architecture forms the backdrop for the street cafe’s, restaurants, bars and not forgetting the superb Grand Theatre. 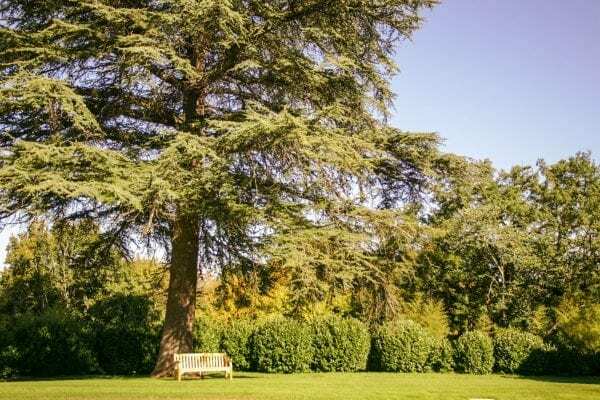 GOLF There are many pay and play golf courses within the area, the best being the beautiful and award winning Chateau Des Vigiers Golf and Country Club. 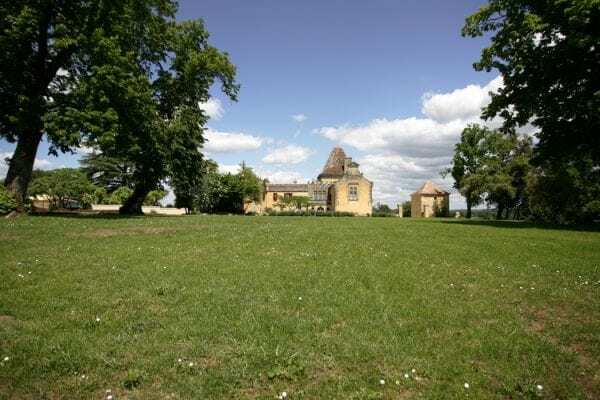 The chateau dates back to 1597 and is set in 450 acres of stunning countryside. 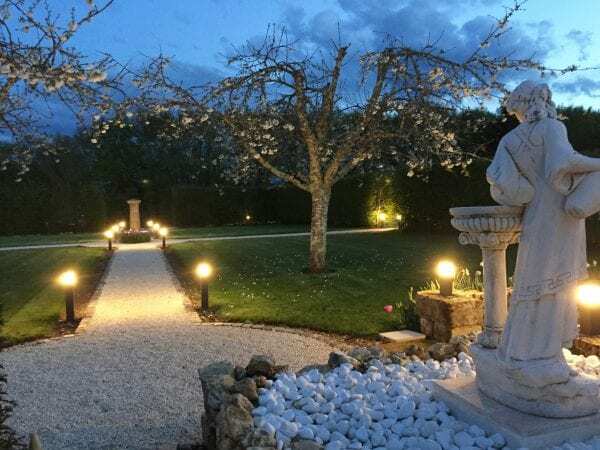 Facilities also include a fine restaurant and relaxing beauty spa.